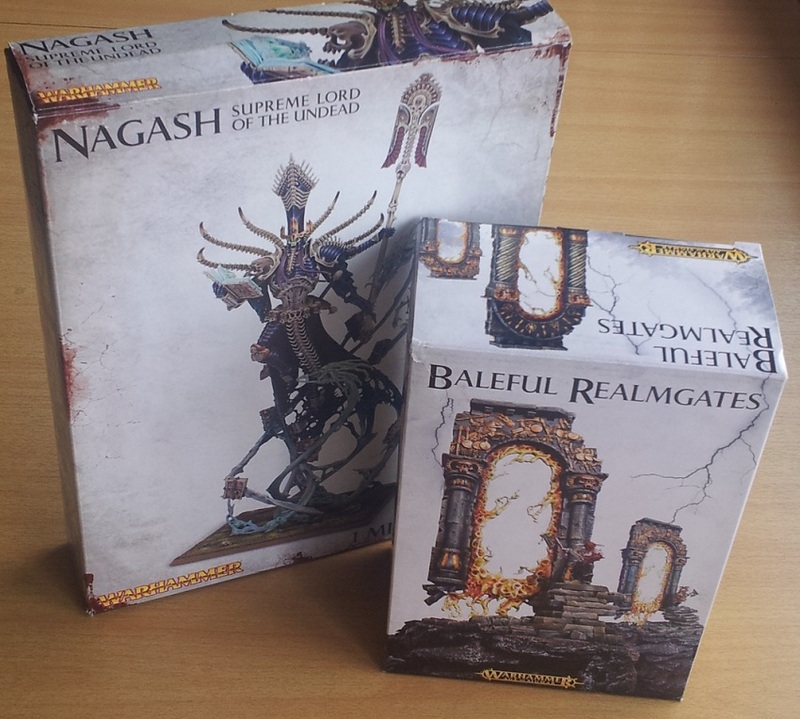 For the record, Nagash comes in the same size box as all the regular Warhammer monsters, or the lesser tank kits from Warhammer 40,000 (Rhinos, Wave Serpents, etc.) As you can see, the actual frame of the box is just over half the size, but the depth is a lot thicker. My first reaction (after “huh”) was that I was quite curious as to how the sprues looked – especially since when I shook the box (I always shake the box, it’s a Lego habit from when I was a kid), it didn’t really sound like there were any loose parts in there. And this would be why. The gates are almost fully cast and packed in tight clampacks, kind of like action figures, with the tiles packed separately in a plastic bag. 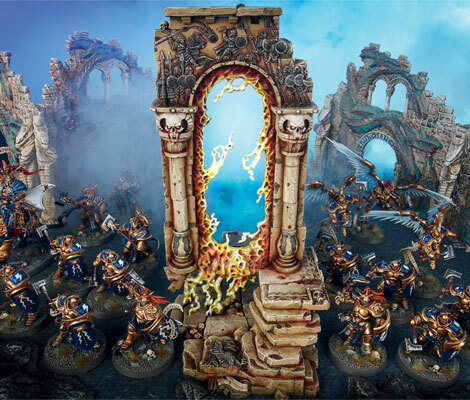 I was also a little pleased to see that the two Realmgates in the pack are kept separate, instead of sharing a sprue as is common with multi-piece terrain kits, making the box easy to split up if you buy it alongside someone. 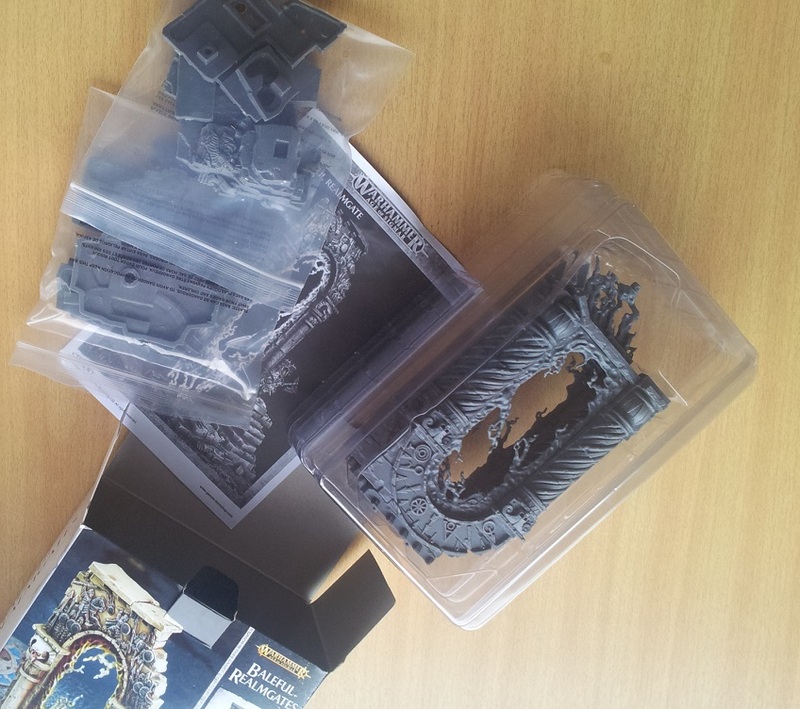 The packaging reminds me a lot of how Dreadstone Blight was produced a few years back. 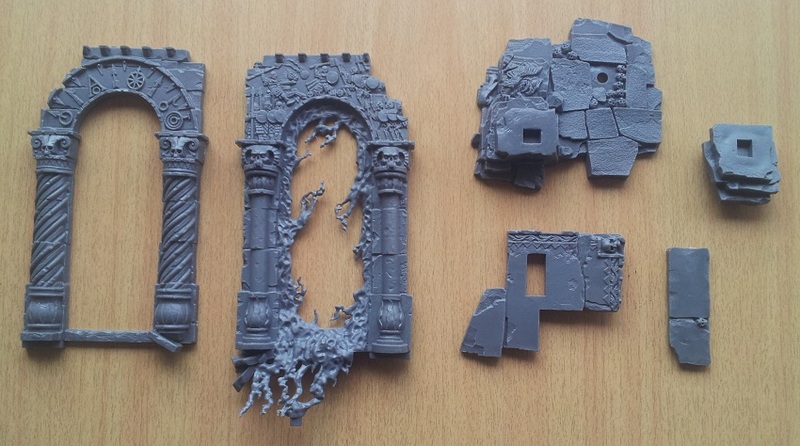 The pieces themselves are very straightforward, and there are very little cleaning and removal of mould lines and sprue hooks – it should take less than a quarter of an hour to clean this up for assembly. And as you can see, the final product looks amazing. 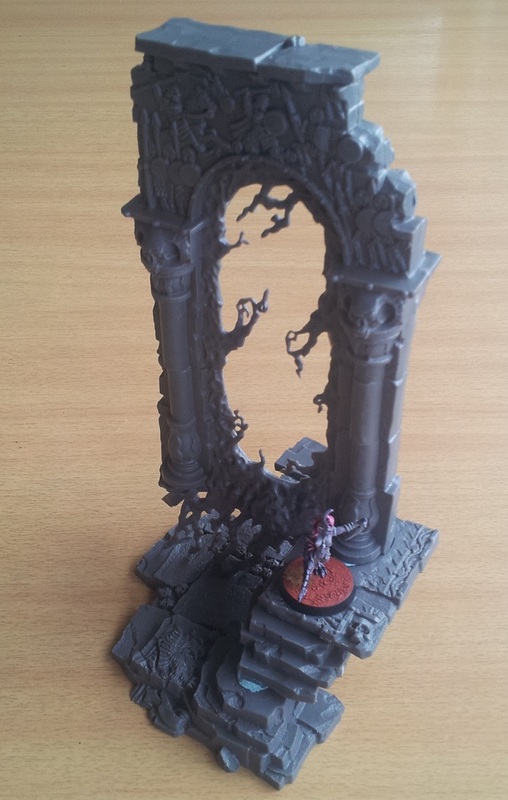 I added the Daemonette for scale – I think the way this kit is packed and constructed is brilliant. The box is a lot smaller than the final product suggests, and with the assembly and cleaning made so easy, preparing both gates for painting should be done over the course of a lunch break at most. I can’t wait to get started on these babies once I finish up the Daemonettes and Herald currently sitting on my workstation. 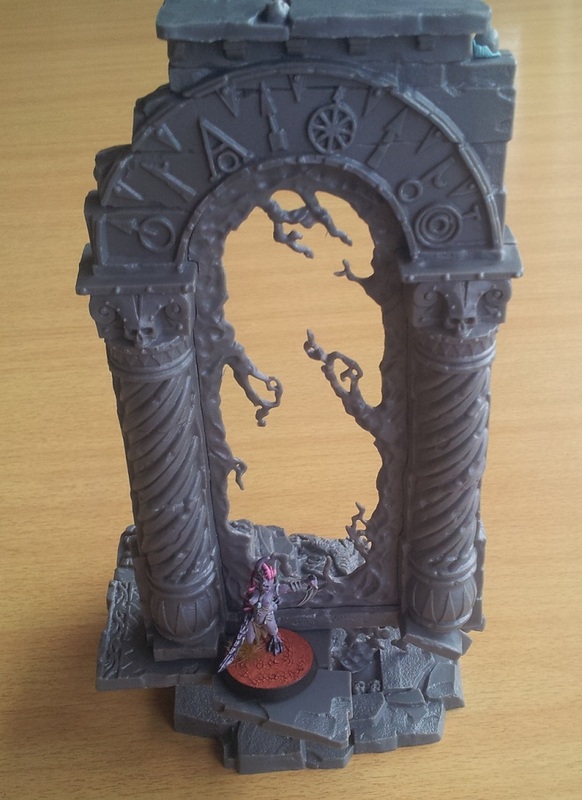 This entry was posted in Age of Sigmar, Baleful Realmgates, Scenery, Unboxing and tagged Age of Sigmar, Baleful Realmgates, Scenery, Unboxing. Bookmark the permalink. ← REVIEW: The Gates of Azyr.